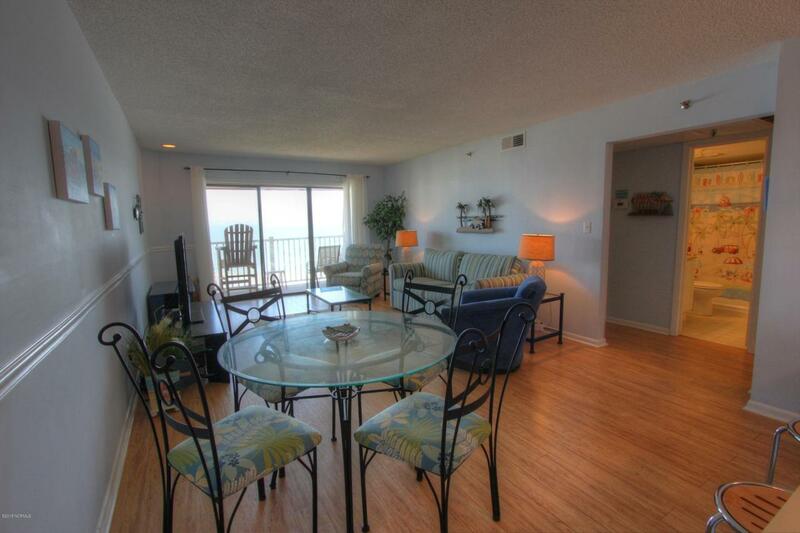 Beautiful oceanfront condo located on the top floor with easy access by elevator or stairs. 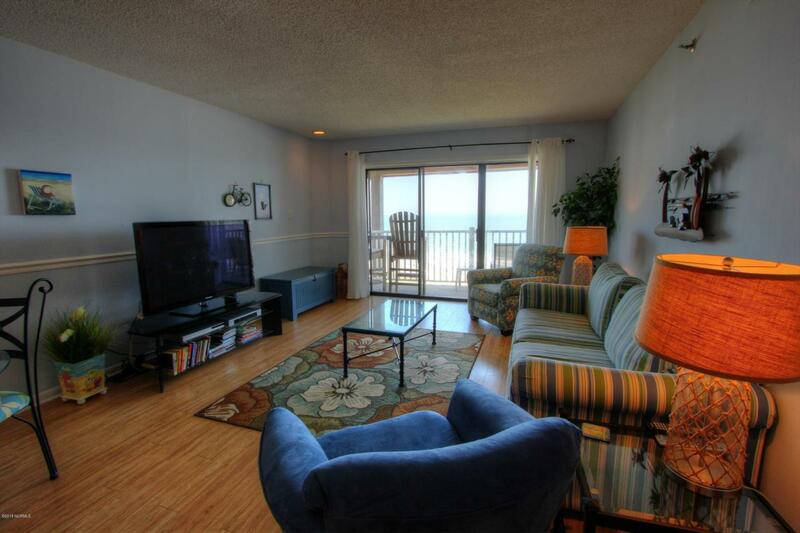 Enjoy amazing beach and ocean views from the private balcony, living area or master bedroom. The living, dining and kitchen area are one spacious area. The kitchen is fully equipped with all appliances and a breakfast bar area. The master bedroom has a private shower bath. The second bedroom is located by the hall bathroom with a tub/shower. There is a stack washer and dryer in the hall closet. 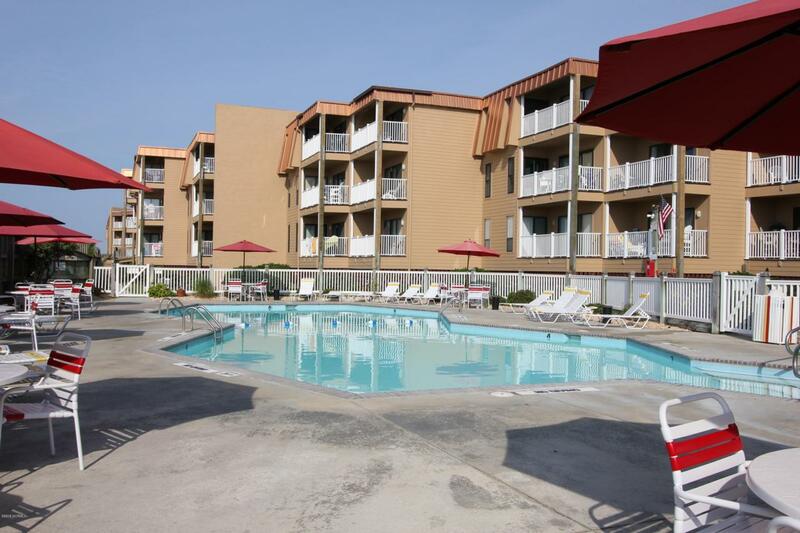 This community has a large oceanfront pool, easy access to the beach with outside showers, a play area, covered pavilion and a few charcoal grills. 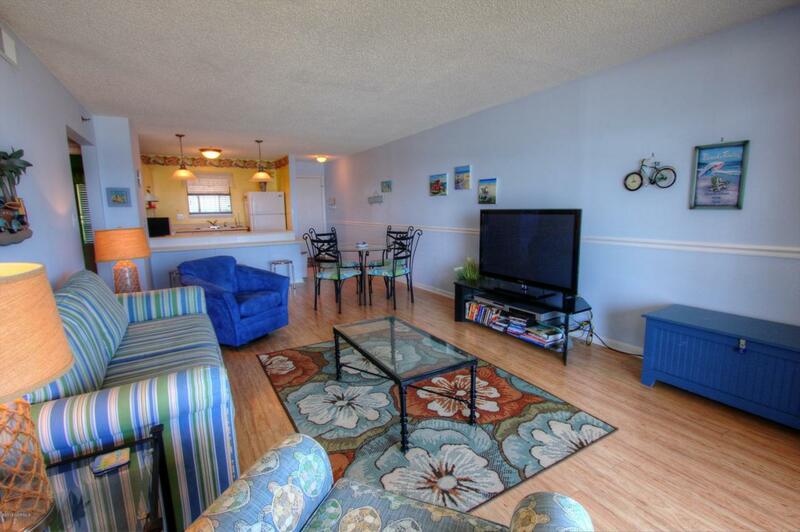 This condo is fully furnished and ready to enjoy!